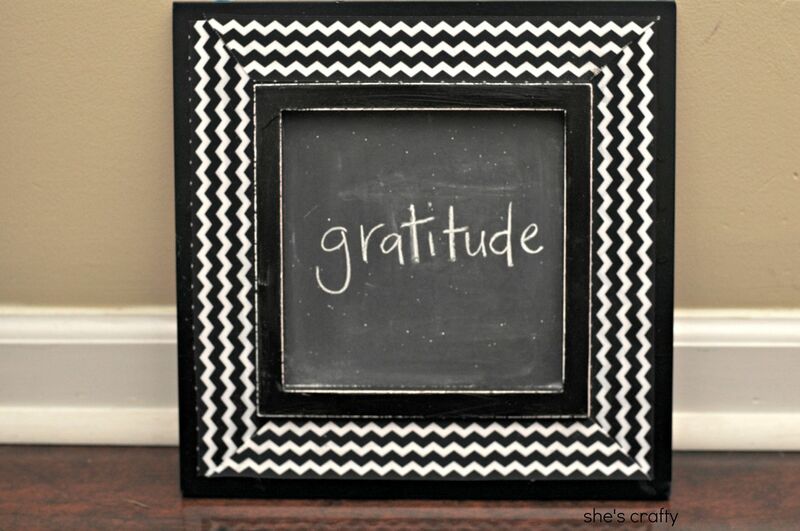 This chevron chalkboard frame is the perfect place to jot a little Thanksgiving reminder! Would you believe that this is how the frame started out? 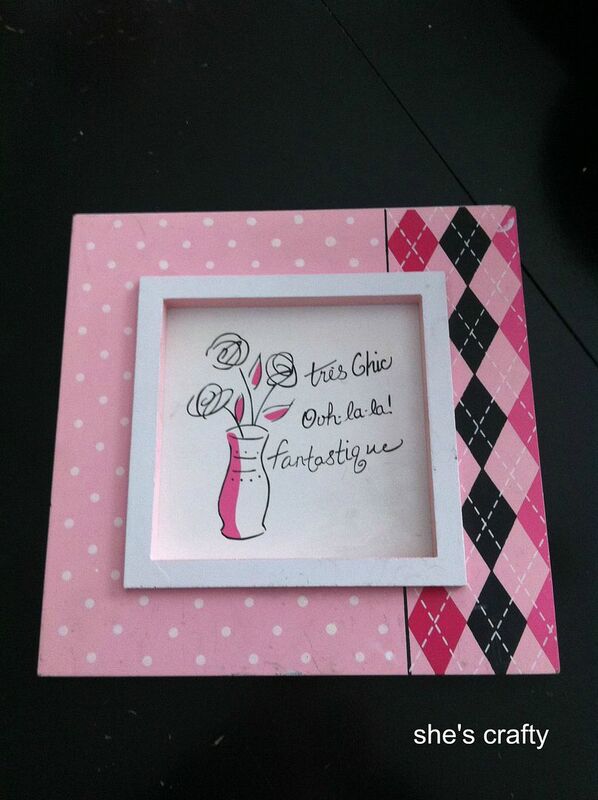 Pink and black isn't my favorite color scheme to decorate with, but I loved how the white framed the inset back. So I decided to see if I could make something else out of it. I gave it a few coats of spray paint. Unfortunately, I didn't sand first so the polka dots and flowers still showed through. I'm the laziest crafter ever so rather then sand the frame properly and repaint it, I decided to find something to cover it up. I remembered the cute chevron ribbon I scored at Hobby Lobby a few weeks ago and thought maybe it could work. I cut the edges of the ribbon on an angle so the ribbon looked mitered and glued it on with tacky glue (amazon affiliate link). 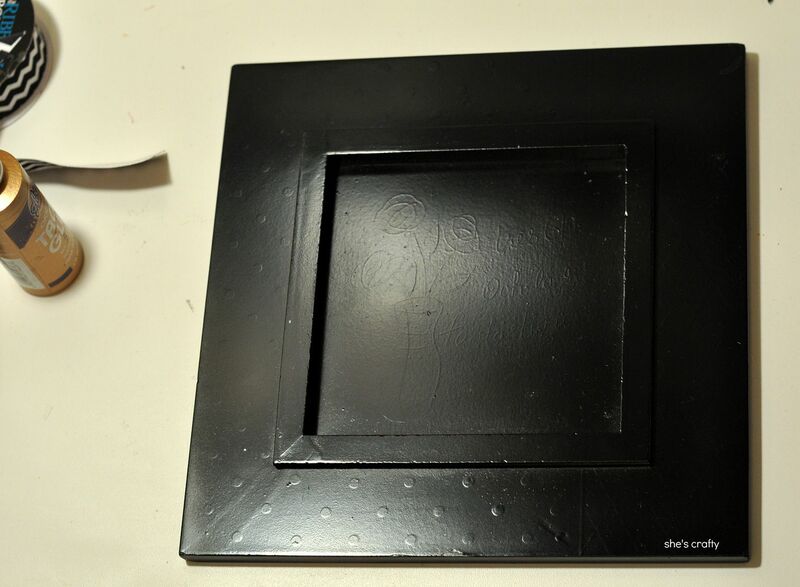 Then I cut down some chalkboard vinyl and applied it to the inside of the frame. It worked perfectly to cover the designs that showed through the rotten paint job I gave it. I also distressed the edges of the frame a bit. 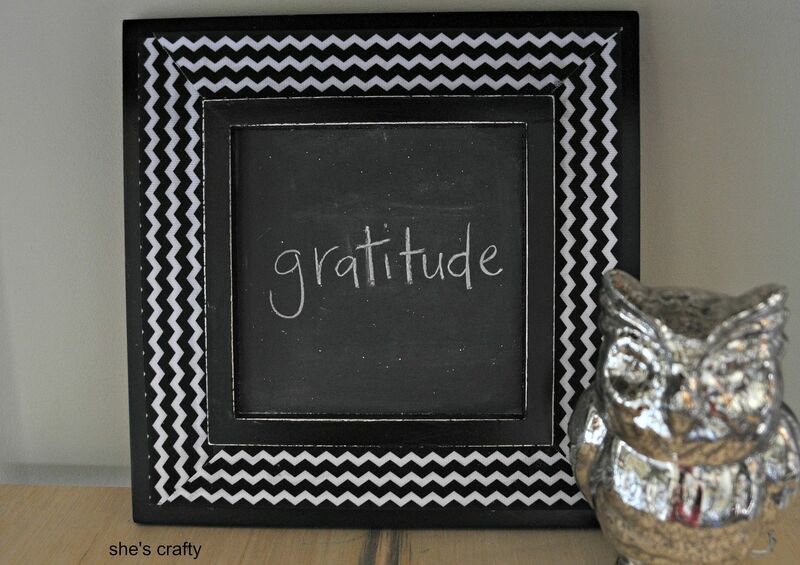 A cute little chevron chalkboard to go next to an owl friend and bowl of pumpkins!! This is awesome! 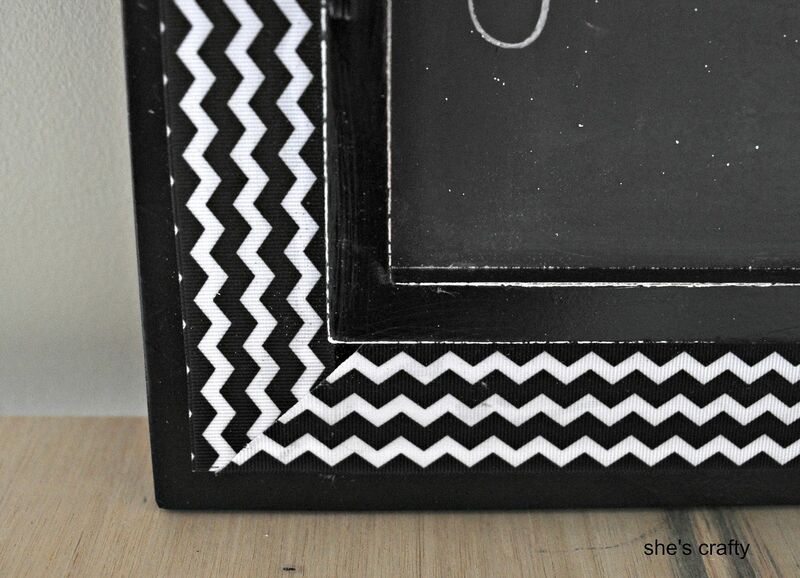 I love the black and chevron and I've used a lot of chalkboard paint too! so cute! 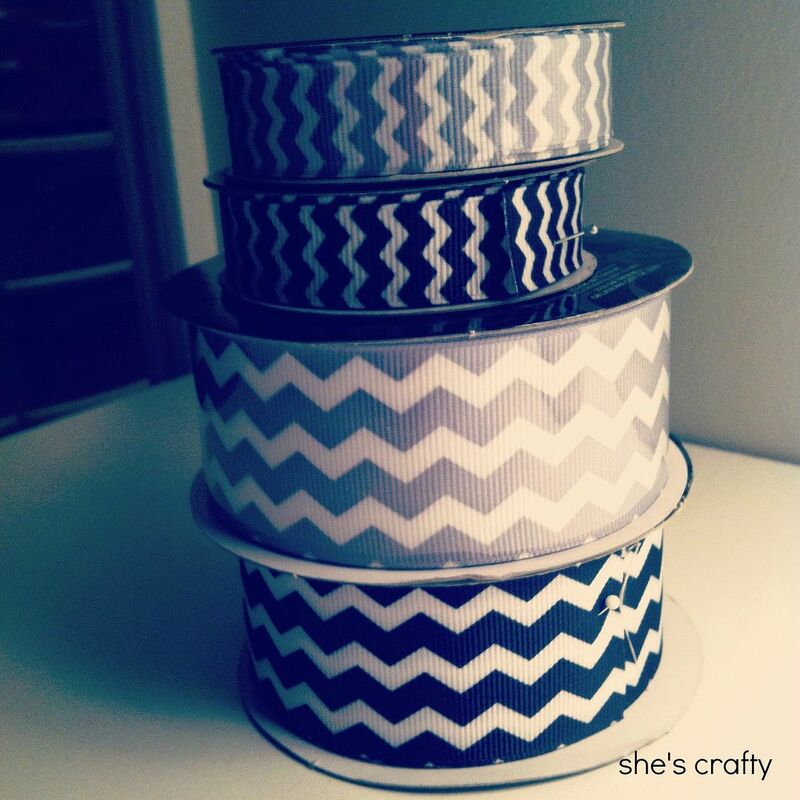 I love that chevron ribbon. 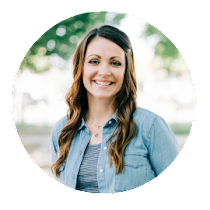 I would be honored if you shared this at my Ginger Jamboree Link Party!